There are a few different types of rat poison that all work to kill rodents in different ways. Your pet’s symptoms and treatment will depend on what type of rat poison they ingested. 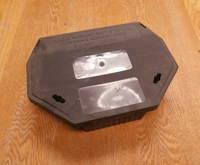 We at Coventry Animal Hospital recommend using “rat stations” to put the bait into as a safe alternative. These include Coumarin products such as warfarin and Indanione products such as bromadiolone and brodifacoum. These products inhibit vitamin K being transformed into its active form. Vitamin K is required for certain blood factors that are important for clotting. Signs don’t show until clotting is significantly affected. This can take 3-7 days and effects can last as long as 4 weeks. Signs that your dog has ingested this poison include lethargy, loss of appetite, painful abdomen, bruising, bloody urine and pale gums. If left untreated, this can lead to death. If your dog just swallowed the poison, your veterinarian will induce vomiting. 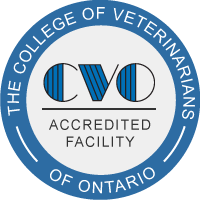 Your vet may also want to perform blood testing to evaluate how well your dog’s blood is clotting. This type of rat poisoning is treated with Vitamin K for 2-4 weeks. Dogs with severe signs may need hospitalization and blood transfusions. The toxin in these products is called Cholecalciferol. These products cause a dangerous increase in the calcium levels in the blood. This can lead to severe kidney damage and cardiac arrest. Signs of toxicity include lethargy, loss of appetite, increased drinking and urination, or sudden death. Treatment involves being admitted to hospital for fluid therapy and medications to lower blood calcium levels. Frequent blood monitoring is required and your pet may need to be on medications for months depending on the level of kidney damage that was suffered. The toxin in these products is called Bromethalin. This toxin enters the central nervous system and causes swelling in the brain leading to dangerously high pressures. Signs can occur hours to days after ingestion depending on the amount ingested. Signs can range from vomiting and depression with small amounts ingested to seizures, muscle tremors and lack of coordination with higher amounts. Treatment involves hospitalization and supportive care that could be needed for many days. There is also the possibility for permanent neurological damage to occur. The first thing you should do is get your pet to your veterinarian. The sooner you get it to your vet, the more likely your vet will be able to induce vomiting and remove the toxin. Further treatment will be based on the type of poison it is and so it is extremely important to bring the rat poison with you! 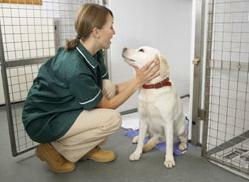 Only with that information will your vet be able to properly treat your pet. It could mean the difference between life and death!